CDW can help protect you from costly data breaches through a cohesive strategy of security assessments, data protection and threat mitigation. Data is the core of your organization, but how do you protect your data when it — and attackers — can reside anywhere? With more than 20 years of experience, CDW experts can objectively asses your cybersecurity practices and create a strategy that helps you predict, guard against and proactively respond to evolving cyberattacks. 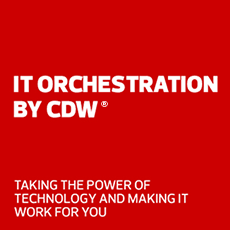 CDW cybersecurity solutions and services offer tailor-made protection for your organization. We partnered with IDG to research the biggest threats facing organizations today. See what 400 CDW and industry experts had to say in our report. Cyberthreats are constantly emerging and evolving. As a result, you need a comprehensive approach to protect against today's advanced threats. Our experts can help you maximize your investment in cybersecurity technologies like next-gen firewalls, encryption software and more. We’ll help you design a holistic security strategy utilizing multilayered solutions to keep your data secure. Some organizations find themselves following outdated cybersecurity strategies designed to address concerns with an ad hoc approach. But these strategies leave significant gaps in addressing today's modern threat landscape. See how a risk-based strategy can serve as a holistic defense for your environment. Even if your organization has all the necessary security tools in place, a poor initial design in your security strategy means that you will be unable to effectively respond to threats. Learn how you can build a strategy that assures data is protected across your enterprise while also fulfilling business objectives. We back up our security expertise with an array of industry and partner certifications. Our years of experience, industry-leading expertise and partnerships with leading technology providers can help you create a custom cybersecurity solution that dynamically addresses vulnerabilities in your network, now and in the future. Our security consultants offer comprehensive security assessments for your current environment and can build a strategy that’s right for your organization’s unique needs. Our certified engineers can assist with everything from simple anti-virus installation to complicated network segmentation, ensuring operational continuity and reliable protection. Our managed services team can help automate routine cybersecurity procedures and ease the burden on your IT staff so you can focus on more pressing matters. Is your organization ready for a modern cybersecurity strategy? Contact your account manager, or give us a call.